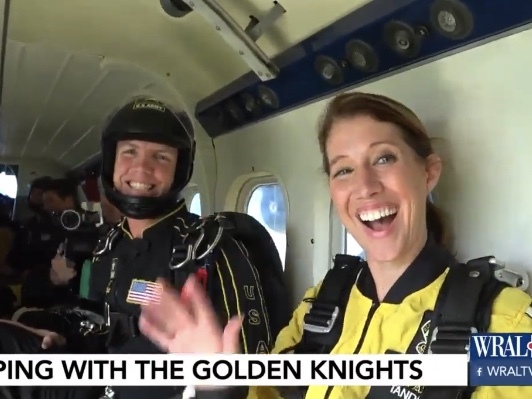 WRAL meteorologist Elizabeth Gardner had the chance to skydive with the U.S. Army Golden Knights this morning in Raleigh, N.C.
“It was the chance of a lifetime. I jumped at it,” she said. The station aired the footage of her jump on the noon newscast. Gardner said she wasn’t scared until right before the jump. Her videographer recorded the jump. You can watch it here.